Norwegian, Gatwick’s third largest airline by passenger numbers, has flown Gatwick Airport’s 40 millionth passenger on its brand new flight to San Juan, Puerto Rico. In light of the airport’s significant milestone, the lucky passenger has received two return tickets on Norwegian’s inaugural flight to Boston next May and £100 worth of Norwegian Reward CashPoints to celebrate. Passengers travelling on Norwegian’s first flight to San Juan got a “Brucie bonus” today as the legendary TV host and his Puerto Rican wife surprised holidaymakers at the airport. 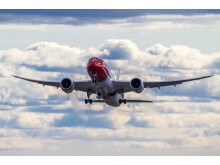 Low-cost airline Norwegian, today signed a new deal that will provide more destinations for UK thrill seekers hoping to hit the ski slopes this winter. 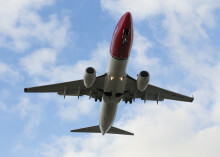 Norwegian celebrated the first anniversary of its ground-breaking low-cost, long-haul flights between the UK and America today – by announcing a new route to Boston and confirming that summer 2015 is set to be a record breaker for the airline. 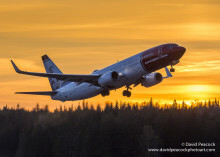 Norwegian continues to expand its long-haul network with new routes and more departures on existing connections. A non-stop service will launch between London Gatwick and Orlando and between Copenhagen and Orlando. In addition, there will be more weekly departures between London Gatwick and New York (JFK), London Gatwick and Los Angeles (LAX), Oslo and LAX, as well as Stockholm and San Francisco. 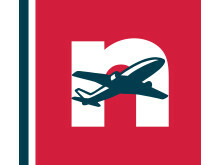 Norwegian carried more than 2.3 million passengers in August 2014, an increase of 19 percent compared to the same month previous year. The load factor was 83.6 percent, up 4.4 percentage points.